We can train our minds to live in a more focussed and conscious way, we can mould our brain to be the way we want it to be and free ourselves from those who would seek to steal attention away. This book shares key ideas and advice so that you can start to do so right now. 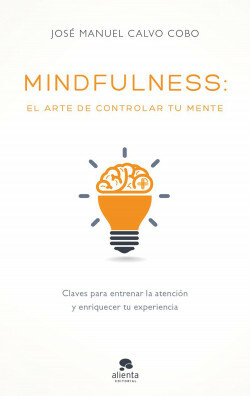 In addition to analyzing the concept of mindfulness and presenting research into its benefits, José Manuel Calvo proposes a training programme to re-educate our brain and describes the different ways of initiating the practice of mindfulness, both formally with meditation techniques and informally with self-observation exercises and everyday activities to help you achieve full focus. A journey into the inner mind that invites you to reflect and connect with yourself and so to achieve wellbeing.